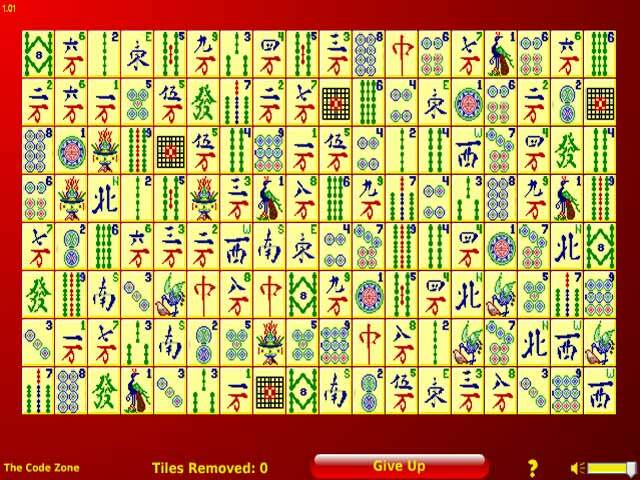 Use patience and careful strategy to clear the board of Mah Jong tiles in this stimulating puzzle game!Match up the Mah Jong tiles!Use patience and careful strategy to clear the board of Mah Jong tiles in this stimulating puzzle game! 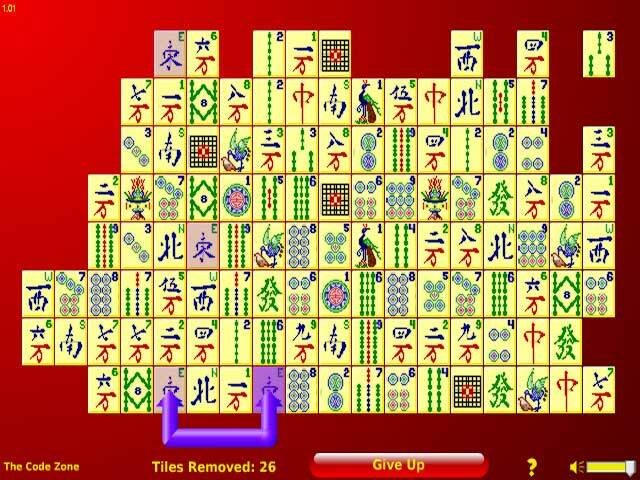 Discover the most prudent paths by which pairs of tiles can be matched and removed from the board. 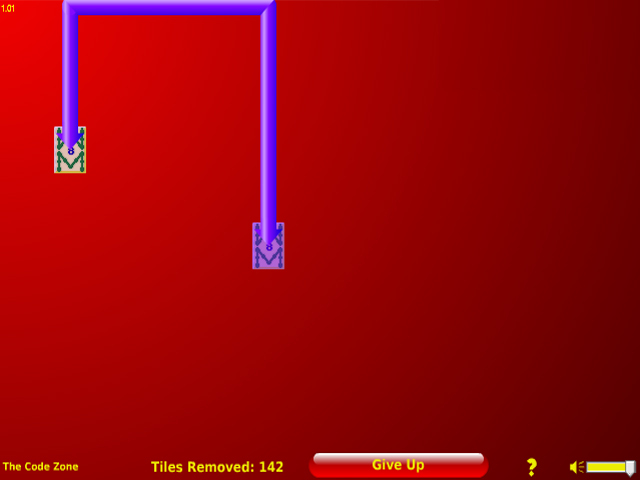 Any matching tiles that can be connected by three or fewer uninterrupted lines can be removed. 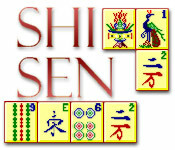 Clear the board; impress your friends; attain enlightenment.